Review of CAUGHT at Intiman Theatre. Written by TeenTix Newsroom Writer Olivia Sun, and edited by Teen Editor Anya Shukla! 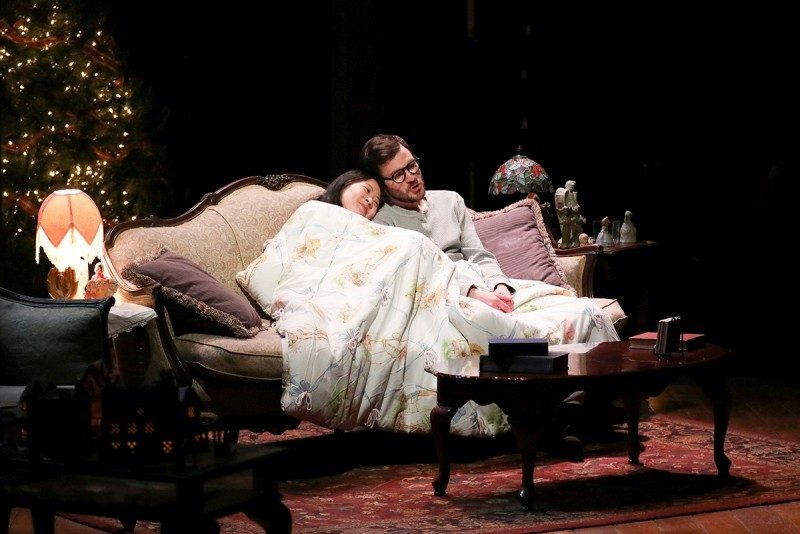 Chinese-American playwright Christopher Chen blurs illusion with reality and time with space in his innovative piece CAUGHT, presented by Intiman Theatre at 12th Avenue Arts. CAUGHT (which ran March 7-March 30) is Chen’s rejection of conventional categorizations of art, a highly inventive artistic work that crosses between theatrical performance, visual arts exhibit, and artist talkback. Walking into the theatre space, I step onstage to observe a small arts gallery, consisting of everyday objects that hint at the push-and-pull dynamic between Chinese and American culture. 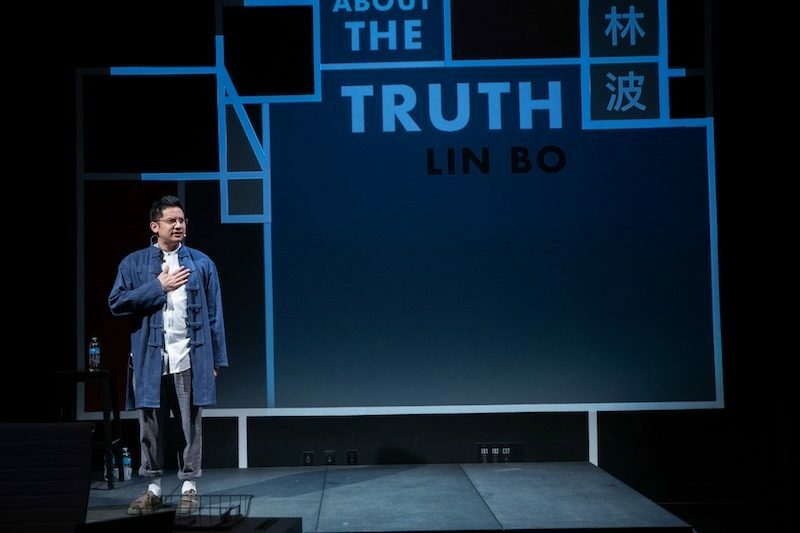 The performance begins with a TED talk-esque speech by dissident artist Lin Bo (Justin Huertas), who describes how the post-Tiananmen climate in China had inspired him to set up an imaginary protest against the Chinese government—an act that ultimately leads to his imprisonment. Before we know it, Chen seamlessly switches the setting to that of a journalist’s office, where Lin Bo is questioned again and again about his imprisonment, until the truthfulness of his account unravels. 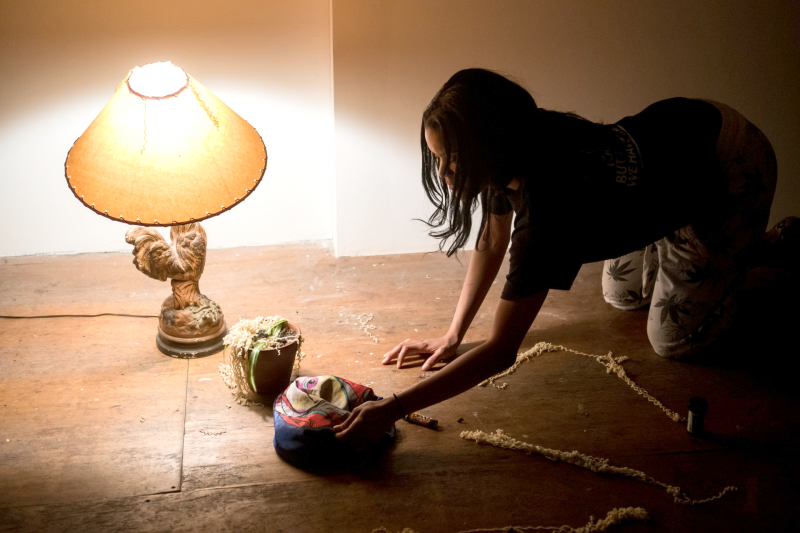 Chen shifts the scope of the performance yet again; now, two performers (Jonelle Jordan and Narea Kang) act out an artist’s interview that explores how truth and lies manifest in our culture. Chen changes the location once more, to a scene “after the show” where two actors discuss their motivations for creating CAUGHT and come to realize that they had been lied to by someone they had thought to be truthful. By the end of the performance, we are left questioning the authenticity of stories told by journalists, historians, and artists alike. What we believe to be the truth is simply based off the stories we hear and share all around us. CAUGHT at Intiman Theatre. Photo by Naomi Ishisaka. Review of Dry Land at Seattle Public Theater. Written by TeenTix Newsroom Writer Lucia McLaren and edited by Teen Editor Lily Williamson! Dry Land, a play written by Ruby Rae Spiegel and directed by Anita Montgomery, is based around abortion: a controversial, yet largely ignored topic. 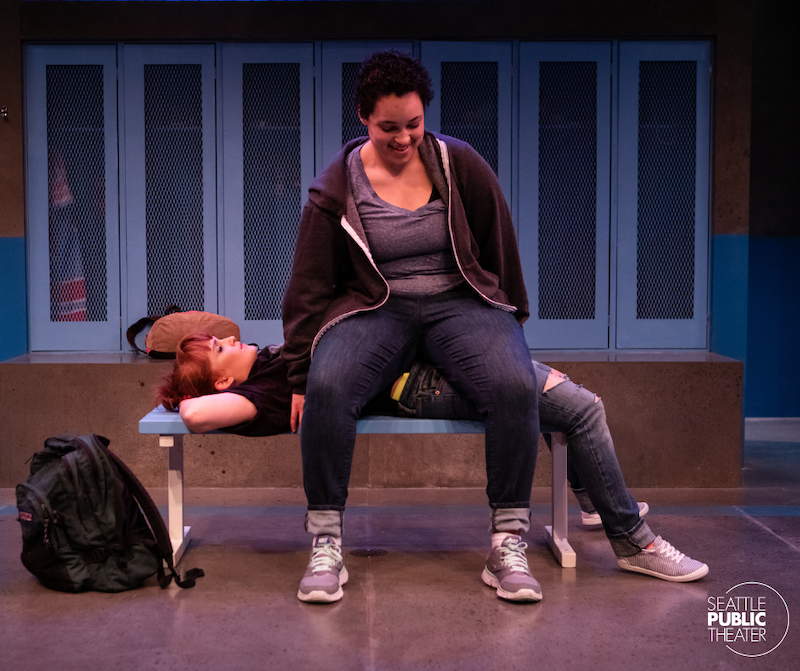 Dry Land tells the story of Amy (played by Libby Barnard) and Ester (Madilyn Cooper), two high schoolers on the same swim team. It’s soon made clear to the audience that Amy is pregnant, and she’s struggling, with Ester’s help, to find a way to end her pregnancy without anyone finding out. The two of them go to desperate measures, all the while trying to keep their friendship. Taking on a controversial topic like abortion is a bold choice by Spiegel, though it’s clear that those working on the show know that this story is one that needs to be told. When I first arrived in the theater, I was struck immediately by the composition of the audience. I was one of only a few teenagers watching the play, which seemed strange to me because of how the play focused on the struggles of young people when obtaining abortions. Though this certainly doesn’t mean that this topic is not important to adults, it was interesting for me to consider whether this theater experience was the first time that some of the audience members had really been exposed to how abortion relates to teens in such a direct way. Dry Land at Seattle Public Theater. Photo by John Ulman. Written by Elisabetta Pierazzi, during TeenTix’s Theater & Dance Press Corps Intensive. PNB Artistic Director Peter Boal has exalted the path of ordinary life, and sometimes that of thousands of dancers, selecting three different productions that are both well linked and assorted, giving the public a real and proper representation of the stages in which the individual audience member can be encountered. 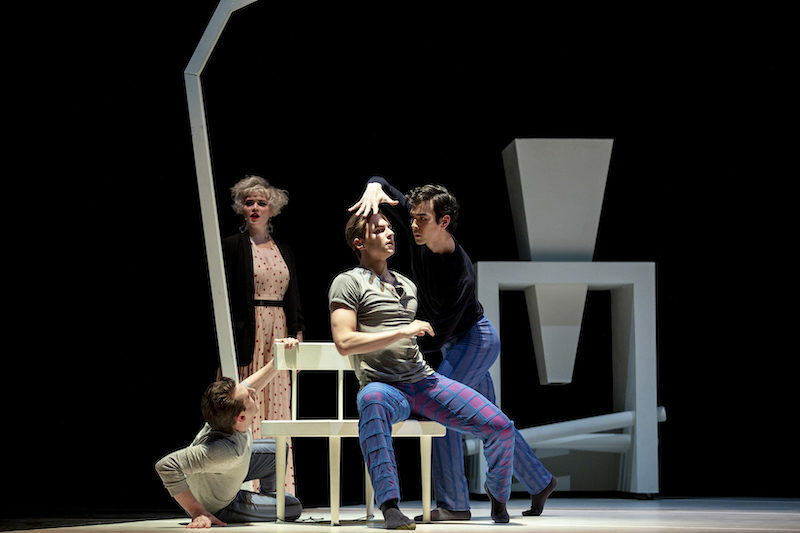 The number three is one of the recurrences that the audience can see in the production: three different acts, three different stories by three different choreographers. Matthew Neenan's "Bacchus" opens the show, continuing with "The Trees The Trees" by Robyn Mineko Williams, and the curtain falls on the latest movements Justin Peck's "In the Countenance of Kings." The minimalism of the neoclassical ballet is a perfect conductive line for the different technical aspects. The lights and the dancers communicate the stories and emotions instead of extravagant or pompous costumes, cumbersome set design, or too-perfect lines in the movements. All this makes us as audience members focus more on the feeling of self-recognition as if to say ''This is me! ''Pacific Northwest Ballet soloist Margaret Mullin in Matthew Neenan’s Bacchus. PNB is performing Bacchus as part of DIRECTOR’S CHOICE, March 15 – 24, 2019. Photo © Angela Sterling. Written by Isabell Petersen, during TeenTix’s Theater & Dance Press Corps Intensive. On March 15th, Pacific Northwest Ballet presented Director’s Choice, a collection of three pieces ("Bacchus," "The Trees The Trees," and "In The Countenance of Kings," respectively), two of which ("Bacchus" and "The Trees The Trees") were world premieres. The first piece of the evening was "Bacchus," set to music composed by Oliver Davis, and choreographed by Matthew Neenan. As a whole, "Bacchus" was quite enjoyable, from the costumes, to the score, to the dancers’ movements themselves. The stage was clean, and the only backdrop provided was the mezzanine. 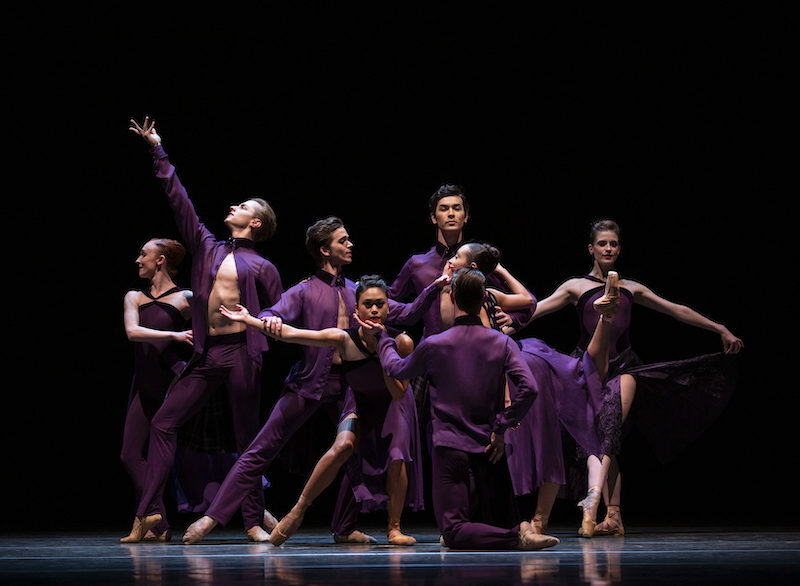 All of the dancers were draped in deep, rich purple hues, which evoked the color and smoothness of wine (costumes designed by Mark Zappone). The movement of the dancers was almost birdlike in the beginning vignette of the piece, with dancers pairing off to intertwine themselves with one another in a courtship dance. James Moore, whose costume was a slightly brighter purple than the others, and which had a cape-like attachment- remained onstage during the entire piece, and his character’s movements seemed to influence the others. During the second vignette, when Moore danced alone, his movements were large, sweeping, and reminded me of a storm or a tempest. A third intriguing choice was when, during the third vignette, the music stopped altogether, allowing the heavy breathing and squeaking of shoes to be heard as the dancers moved around the stage. The Theater & Dance Press Corps Intensive was a four-week arts-going and criticism practice workshop that ran March-April, 2019. 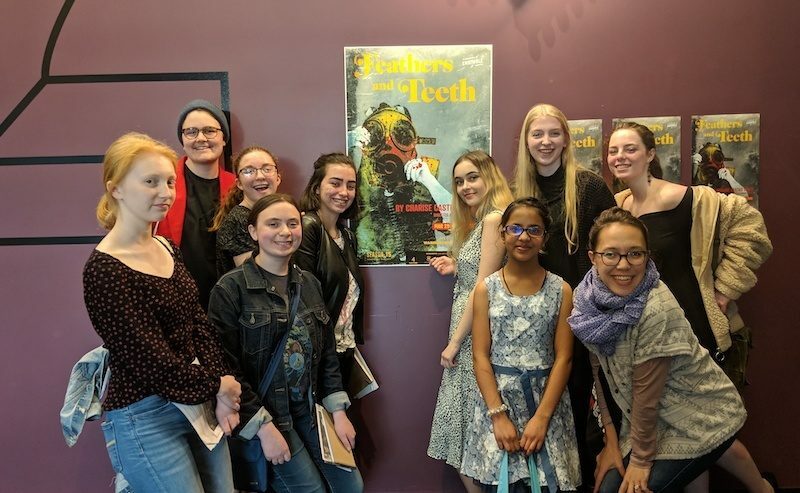 Throughout the four weeks, a group of ten teens learned how to approach theater and dance criticism and practiced these skills be reviewing two plays and two dance performances at different TeenTix Arts Partners. The group met each week to discuss the art they saw and various issues within the field of arts criticism. The group was mentored by two professional critics, Becs Richards and Melody Datz Hansen, who helped each teen hone their arts writing skills. Stay tuned on the blog for reviews of each event! Jason Johnson of The Vera Project, Dogbreth, and More! 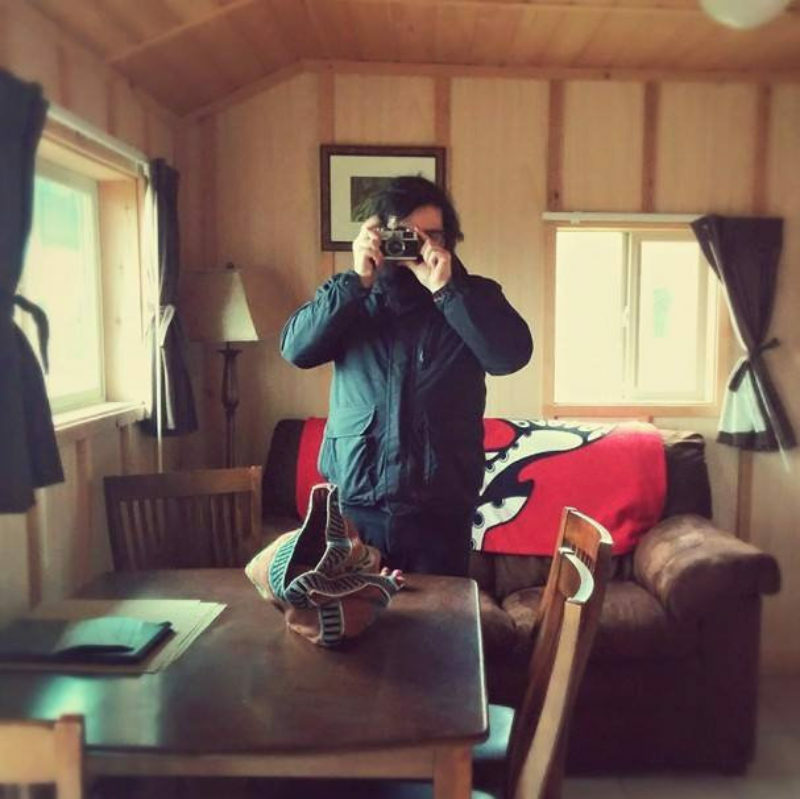 Interview with musician and Vera Project Talent Buyer & Production Coordinator Jason Johnson. Written by Pearl Lomonaco, during TeenTix’s Beyond the Review Press Corps Intensive. Jason Johnson, is local a punk musician, in three bands: Dogbreth, Itemfinder and The Exquisites. Their music makes you feel as if you’re at a rock concert. It's very real with live instruments; you can really feel the melody. It’s violently emotive. Each song has its own story, whether it’s about love or just wanting to hang out with friends and watch anime. When did you start playing music? And why? Interview with musician and Vera Project Programs Director & Talent Buyer Jason Clackley. Written by Noah Chandler, during TeenTix’s Beyond the Review Press Corps Intensive. 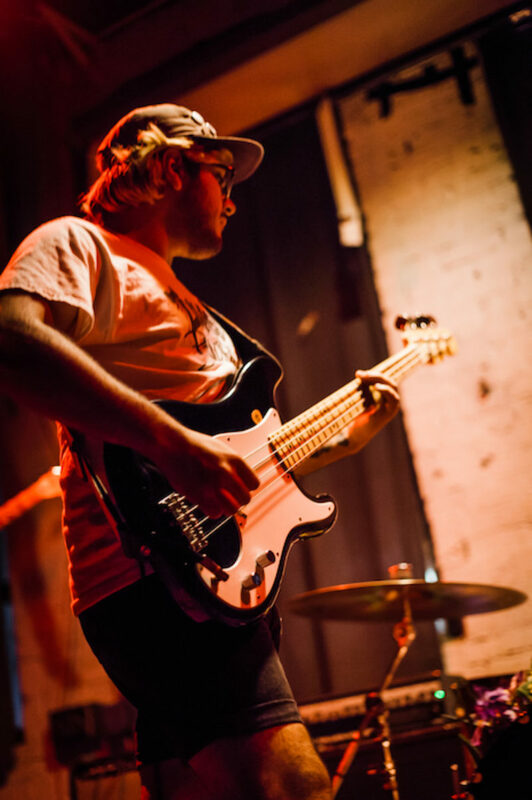 Recently, we were able to sit down with Jason Clackley of the Vera Project, an all ages music venue that showcases up and coming artists. He is also a part of two bands, The Exquisites and Dreamdecay. He talked with us about The Vera Project, his experiences, and about the path of new and emerging artists. Where are you from and how long have you been making music? 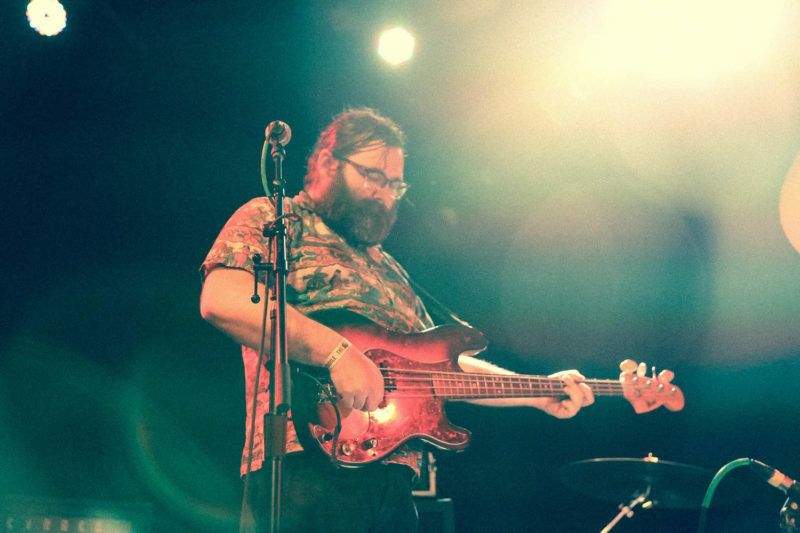 Interview with musician Hunter Grier at The Vera Project. Written by Sumeya Block, during TeenTix’s Beyond the Review Press Corps Intensive. The Vera Project has become a household name in Seattle since their founding in 2001. They hold shows for all ages with a strong value on no drugs or alcohol within the building, while creating a fun space for teens and adults alike. Many have seen shows, performances, and concerts at The Vera Project, but not many know of the significance it has on the local Seattle artists it partners with. From holding programs, to booking new artists their first shows, it is clear The Vera Project cares about its Seattle musicians and the music community it cultivates. One of these up and coming musicians is the young, dedicated, and inspired Hunter Grier. A fresh high school graduate, Grier, 19, has already released over twelve collections of songs and tells us he has more in the works. Members can sign up now for these complimentary tickets! 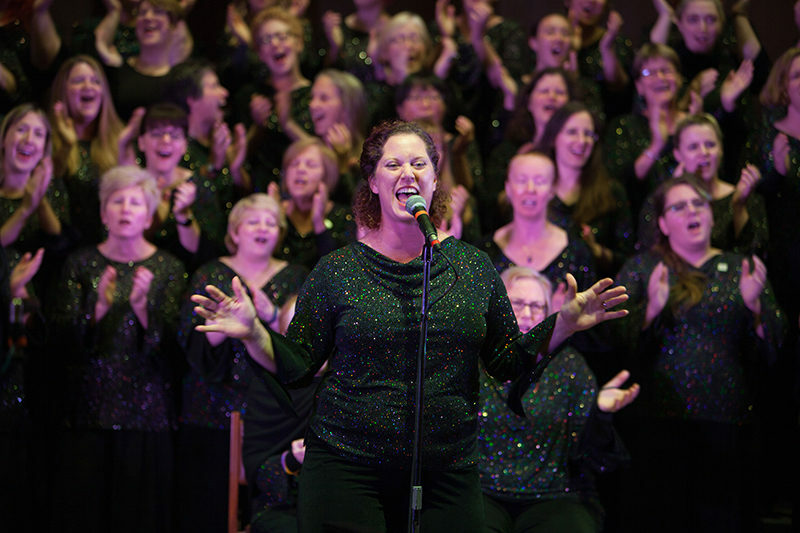 Join Seattle Women's Chorus for a complimentary evening of daring rock 'n' roll as they celebrate trailblazing female singer-songwriters! You and up to three other folks are invited to see this performance for FREE with your TeenTix Pass on April 28th at 4:00 PM. All you've gotta do is sign up below with the requested information to claim tickets to this event! Visit this link to directly fill out the form, or scroll down this page to enter your info. Written by Arizona Gibson, during TeenTix’s Beyond the Review Press Corps Intensive. The Vera Project is an organization steeped in independent spirit. With roots in the D.I.Y. movement, the entire space hums with a deep reverence for creativity and individuality, and possesses a kind of unapologetic grittiness that’s rare in most mainstream venues. It feels like the grown-up evolution of a punk house—a place carved out by artists with the needs of artists in mind. One artist at the forefront of this carving is Jason Clackley, programs director for The Vera Project and long-time fixture in the Seattle music scene. Sitting before a backdrop of locally-illustrated zine covers, show flyers, and band posters, Clackley speaks animatedly about his youth, his experience with the local arts culture, and his evolution as an artist. His simply-stated personal history feels like a perfect extension of The Vera Project mission. SPECIAL OFFER: See The Lightning Thief @ The 5th Ave! RSVP now for your chance to get the TeenTix price at this show. 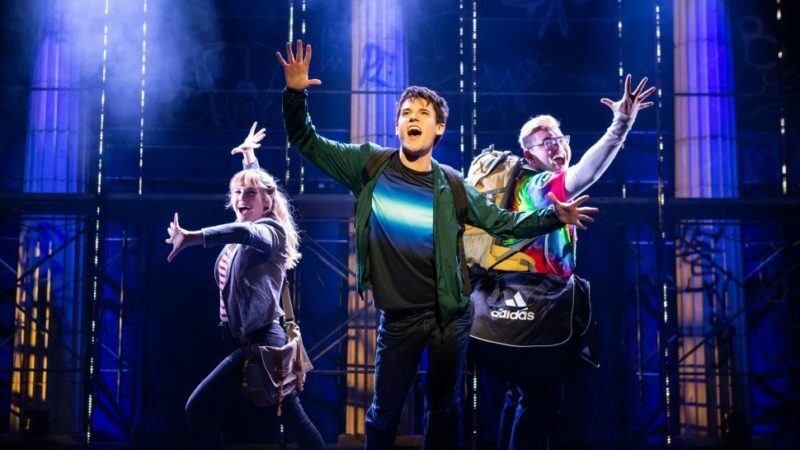 The 5th Avenue Theatre is offering TeenTix tickets to a special performance of The Lightning Thief: The Percy Jackson Musical, and you're invited! On Tuesday, April 23rd, you can see this new musical with this special offer - just RSVP right here or on the form below for your chance to make the list. 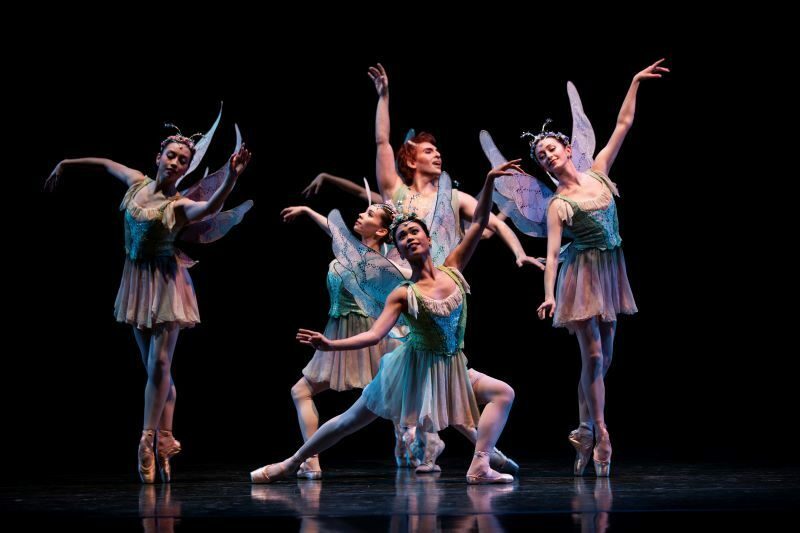 Preview of A Midsummer Night's Dream at Pacific Northwest Ballet. Written by Huma Ali, during TeenTix’s Beyond the Review Press Corps Intensive. George Balanchine's iteration of A Midsummer Night’s Dream has taken form at Pacific Northwest Ballet for the first time in five years. Inspired by Shakespeare's play of the same name, the tale regards love in its many forms—and trickery as a means to define it. Set in the enchanted woods that surround the borders of ancient Athens, the tale follows the interference of the Fairy King, Oberon, and his jester, Puck, in the romantic relationships between mortal lovers Hermia and Lysander, and the soon-to-be couple, Helena and Demetrius. When Puck mistakenly puts Lysander under a spell causing him to fall in love with Helena, conflict plagues the forest. Pacific Northwest Ballet corps de ballet dancer Christian Poppe (with soloist Ezra Thomson and PNB company dancers) in a rehearsal for George Balanchine’s A Midsummer Night’s Dream. Photo © Lindsay Thomas. 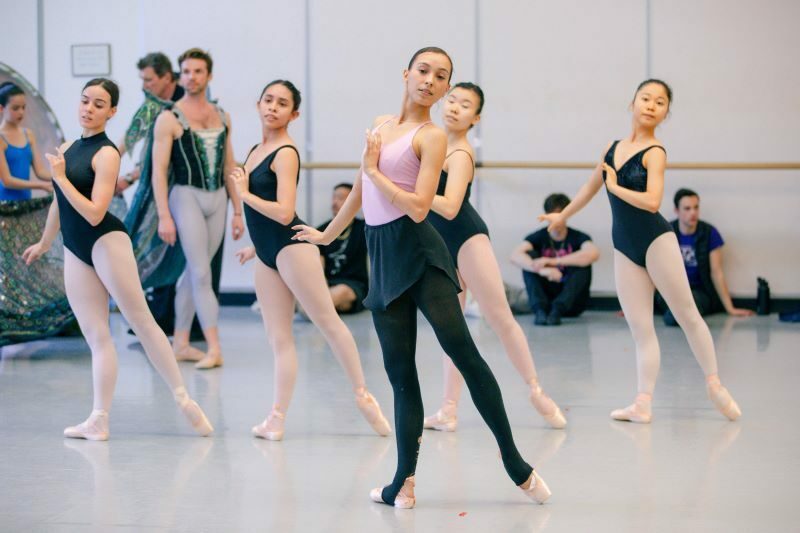 As the dancers in A Midsummer Night's Dream feverishly practice for opening night, Pacific Northwest Ballet prepares for the rush of people who will be spending their night watching the show unfold. William Shakespeare's A Midsummer Night’s Dream tells the story of a fight between King Oberon and Queen Titania, and the quarrel between two mortal couples that leads to absolute chaos and disorder. Pacific Northwest Ballet is known for its vibrant, graceful, and effortless performances. 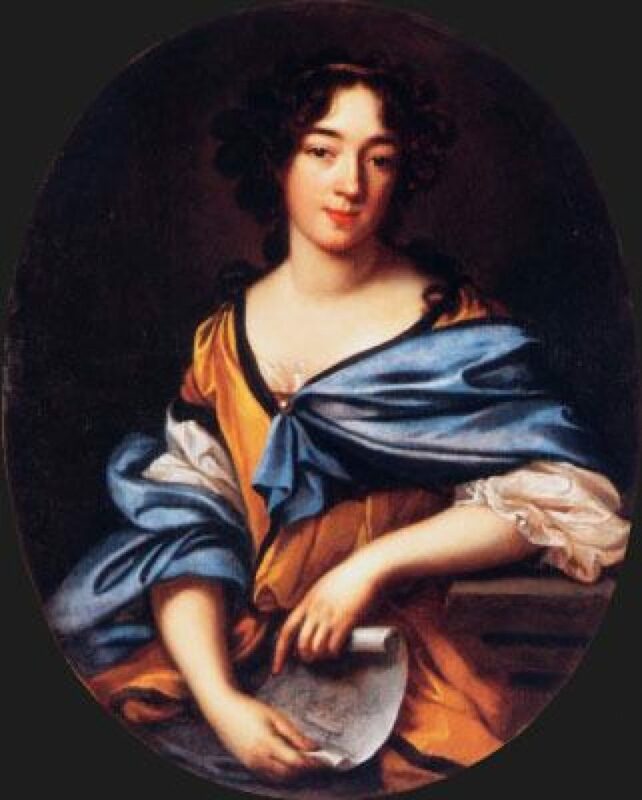 But, this does not come without a great deal of effort, grueling rehearsals, and some kinks to work out. "Why does everything look so AMAZING?" Learn all about our new features! You may have noticed that TeenTix has a brand new look! With the help of some amazing supporters, a fantastic tech team, and a whole lotta love, we've just updated our website with a TON of new spiffy facets, including easier access to all the arts-going information you love. TeenTix hosted our first ever Beyond the Review Press Corps Intensive April 8-12 at the Downtown School. This was a 5-day Intensive workshop where a group of ten teens spent the mornings learning about arts journalism, and the afternoons applying their new skills. 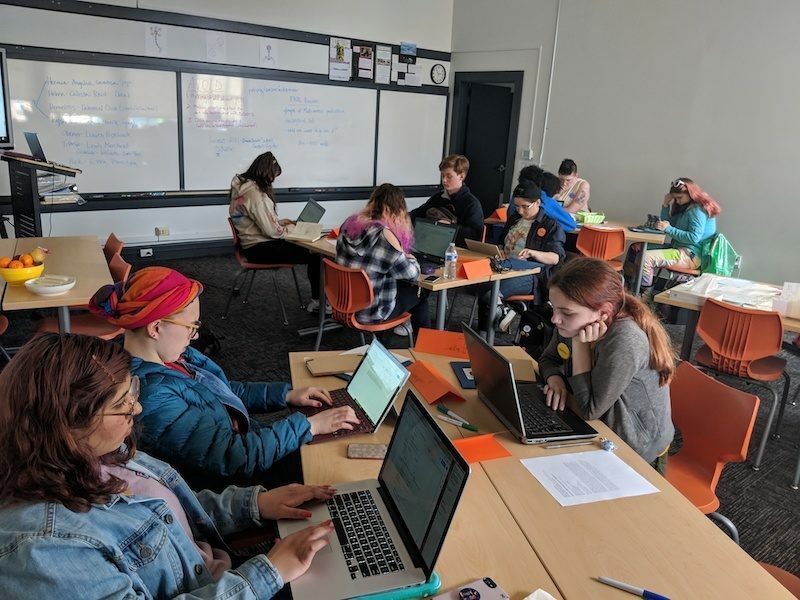 Teens received one-on-one mentorship from professional arts journalists and were able to edit and finalize an article for publication on the TeenTix blog. Over the course of the week, the group went behind the scenes at several TeenTix Arts and Community Partners. They observed a rehearsal at Pacific Northwest Ballet, interviewed musicians at The Vera Project, and chatted with the leadership team of the Intiman Theatre as well as several participants in the Intiman's STARFISH PROJECT. 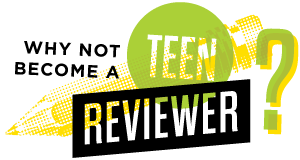 The teens had the opportunity to write previews, interviews, and feature articles based on their experiences. Stay tuned on the blog to read the articles written during the Intensive! SPECIAL OFFER: Bring a Group to International Woman of Mystery! ​You and a group of friends or family are invited to take advantage of this offer from Pacific MusicWorks. 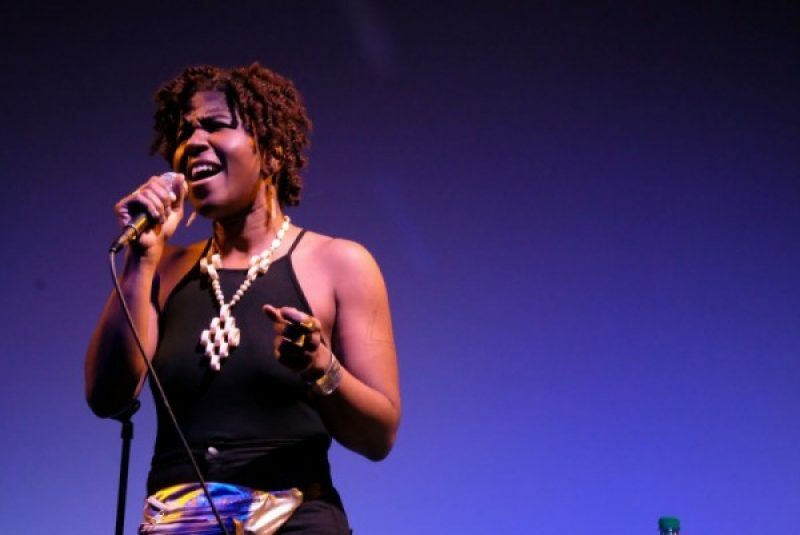 Our generous friends at Pacific MusicWorks are offering you and up to three others the opportunity to see their upcoming concert, International Woman of Mystery, this Sunday, April 14th. Both performances are eligible for this deal! Simply fill out the form below to get $5 tickets for you and three friends or family members (a deal not honored at the door). Review of [lavender]: a self portrait at On the Boards. 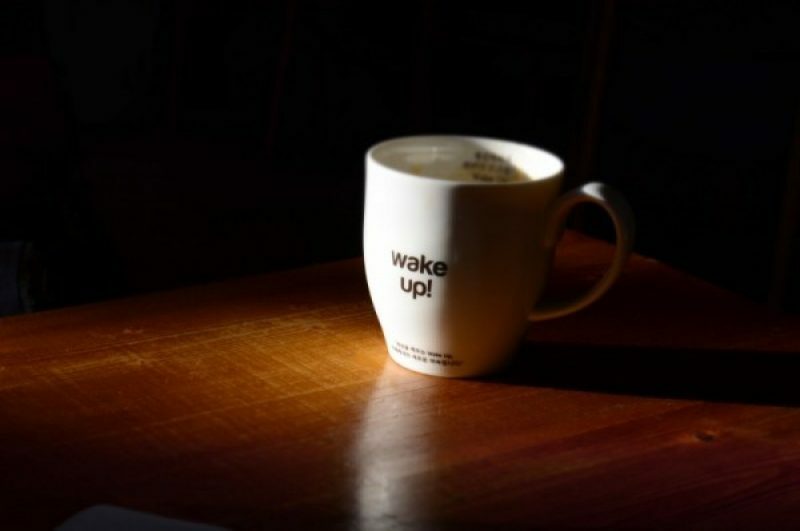 Written by TeenTix Newsroom Writer Kendall Kieras, and edited by Teen Editor Lily Williamson! I have this idea of what someone who’s never lived on the West Coast thinks Seattleites get up to on a typical Tuesday. Visions of hipster tech executives swirl around in their head, and they dream of crowded rooms full of performance art with the kind of convoluted self expression attributed only to Pacific Northwest pheromones. [lavender]: a self portrait fulfilled this vision. It encompassed all which is beautiful, yet utterly inaccessible about Seattle culture. Certainly, it was bold in its existence, but shedding the elitist pretense required to fully enjoy it was a daunting task. It was performed at Oxbow, a damp, concrete room full of twenty-something hipsters. As I entered the performance space, keyon gaskin, who wrote the piece, gave me hand-bound book with a lavender paint smear on the front, full of poetically deconstructed musings. Every poem felt distinctly as though it was conceptualized at two am—the kind of thing you’d write before passing out in bed. Written by TeenTix Newsroom Writer Tova Gaster, and edited by Teen Editor Huma Ali! Since everything is in a constant state of change, a huge variety of media can be shoehorned into the theme of “Metamorphosis”. This theme was stretched to its artistic breaking point at the Hugo House’s Literary Series, an evening of readings by acclaimed authors Benjamin Percy, Vanessa Hua, and Keetje Kuipers, as well as a musical performance by vocalist-producer-composer-improviser-goddess Sassyblack. The Hugo House’s Metamorphosis literary series event specifically referred to Franz Kafka’s iconic story of the same name, in which a man is inexplicably transformed into a hideous beetle. Beyond the mutable theme of change and transformation, an insectoid motif crawled throughout several of the pieces. From author Benjamin Percy’s tale of a girl haunted by cockroaches and smoke, to Sassyblack’s repetition of “straight buggin-out” over spacey recorded beats, this reading was not an event for entomophobes—google search: person who fears insects. ​RSVP now for this incredible deal from ArtsWest! What's 2 for $10? On certain days at each of our Arts Partners, TeenTix Members are invited to bring along another person of any age with them to a show or exhibit for an additional $5. Take your mom, a younger sibling, or a friend who doesn't yet have a TeenTix Pass (then get them to sign up!) The only stipulation is that the TeenTix Member must purchase the tickets themselves at the box office and show their Pass. BOOM, ARTS ACCESS. You can read more about 2 for $10 here on our FAQs page.